In Denver, Secretary of the Interior Ken Salazar signed a Secretarial Order directing the Bureau of Land Management to designate areas with wilderness characteristics as “Wild Lands” and to manage them to protect their wilderness values. The new Wild Lands designations will be based on the input of the public and local communities through the BLM’s existing land management planning process, said Secretary Salazar, who grew up farming and ranching in Colorado. For the last seven years, the BLM, which manages 245 million acres – more land than any other federal agency – has not had a comprehensive national wilderness policy, Salazar explained. “That is because the wilderness management guidance in the agency’s handbook was revoked in 2003 as part of a controversial out-of-court settlement between then-Secretary of the Interior Gale Norton, the State of Utah, and other parties,” he said. Salazar held the signing event at an REI store. The retailer sells outdoor equipment and clothing and will benefit from the new federal government policy, the secretary said. 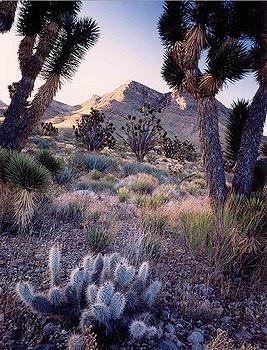 With this secretarial order, I am directing the Bureau of Land Management, based on the input of the public and local communities through its existing land management planning process, to designate appropriate areas with wilderness characteristics under its jurisdiction as “Wild Lands” and to manage them to protect their wilderness values. This policy has no effect on lands that are not under BLM’s jurisdiction, nor does it change the management of existing Wilderness Study Areas pending before Congress or congressionally designated Wilderness Areas. BLM may still develop recommendations, with public involvement, regarding possible Congressional designation of lands into the National Wilderness Preservation System. “The important thing about this secretarial order is that it provides a clear policy for the management of public lands with wilderness characteristics, and it gives local communities a strong voice in that process,” Salazar said. The Governor’s Balanced Resource Council, led by Governor Herbert’s environmental advisor Ted Wilson, has been working with local governments, environmental groups, concerned citizens and others on wilderness designation throughout the state, which has three million acres of wilderness study areas. “This decision may unintentionally damage all of the good will that we have worked so hard to build between the state, local governments, the environmental community and federal officials,” Governor Herbert said. “The ironic fallout of this decision is that it could stifle our ability to resolve wilderness issues through cooperation and compromise, like we saw in Washington County and are beginning to see throughout the State,” Governor Herbert said. Wilderness was recently designated in Washington County, Utah after a lengthy effort involving residents, local government and environmental groups. Similar efforts are underway in San Juan, Emery, Piute and Beaver counties. The governor expressed his concerns on a phone call with Abbey today and invited the BLM director to visit Utah in January to explain the federal agency’s intent for the new designation and its potential consequences.